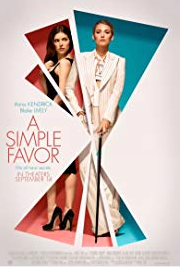 “A Simple Favor” was not on my original watch list but, its Alfred Hitchcock meets “Gone Girl”. Two women become unlikely friends when their young sons attend school and play together. Stephanie (Anna Kendrick) is a Mom/Blogger and “June Cleaver” without a husband. The other woman Emily (Blake Lively) is a Public Relations professional and a wife. Stephanie and Emily start spending a lot of time together and during these times their share information and stories about themselves and things that have happened in their past. The movie is full of twists and the movie itself is very twisted. This is a thriller of epic per-portion. 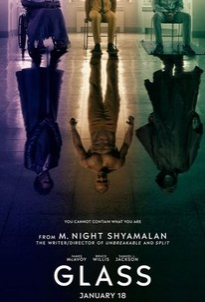 There is a cloud of mystery throughout the movie. Alfred Hitchcock would be pleased. I was surprised at how well the movie was executed. “A Simple Favor” is definitely worth a look. Riley (Jennifer Garner) leads what seems to be a normal life. She has a young daughter and a husband who loves her. Riley’s husband appears to be on the edge of doing something that is on the wrong side of the law. At the last minute he backs out. “Peppermint” is filled with intrigue, drama and suspense. There are a few holes and the back story on the husband is missing, but the move is very entertaining and you are riveted to your seat. I personally love seeing Jennifer Garner in action/drama roles. She appeared in “Peppermint” as I remember her in the ABC hit “Alias”. 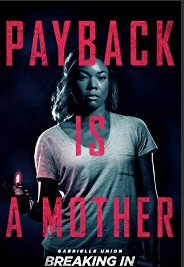 I am not sure why the “Paid Critics” were so hard on “Peppermint”. It’s not as dismal as they make it seem. It is Vigilante at its finest!! 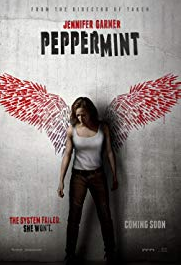 If you enjoy “Action/Drama/Suspense, “Peppermint” is worth a look. 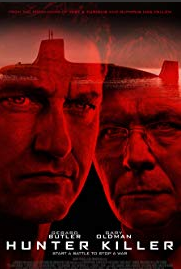 Once again Ethan Hunt (Tom Cruise) and his IMF team (Ving Rhames, Simon Pegg and Alec Baldwin) along with several of their allies (Rebecca Ferguson and Michelle Monaghan) find themselves trying to correct a mission that has gone terribly wrong. Wow! They went back to the drawing board and figured out how to best the first installment! “Mission: Impossible – Fallout” is loaded with action, violence, intrigue, drama and crazy stunts. The story is deep and the plot is wide. It’s “Edge-of-Your-Seat” entertainment. The cinematography is brilliant. The 3D aspects are very good. Even if you don’t love Tom Cruise, you have to respect him. He does all his own stunts and the stunts he does in this installment are worth seeing. It’s very rare that deep into installments one comes along that’s better than the first. This is one of those times. 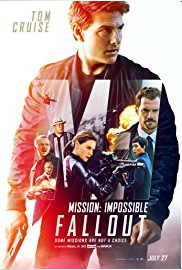 If you are a fan of the “Mission:Impossible” Franchise, “Mission:Impossible – Fallout” is a MUST SEE! This is a 5 Star Movie!! The only reason you are receiving a review of “A Quiet Place” is because my husband went with me to see the movie. My husband loves horror movies. I no longer have a tolerance for them. “A Quiet Place” is definitely fresh!! I personally have not seen anything like this before. The suspense and intrigue are heavy. The cinematography and camera angles are fantastic. The movie is not gory like some horror movies. 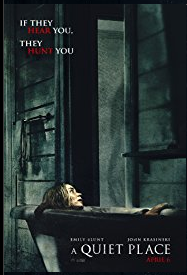 If you have even a mild likeness for mystery/horror/suspense, you should see “A Quiet Place”.